Contains Krias Shema Al Hamita Nusach Arizal, tefilos to help arouse a person for "Chatzos",entire Tikkun Chatzos including the Zohar which is customarily recited afterwards,Yom Kippur Katan (recited Erev Rosh Chodesh),Tikkun Haklali, tefilos for different occasions,Seder Hayom from Reb Yitzchak Breiter. 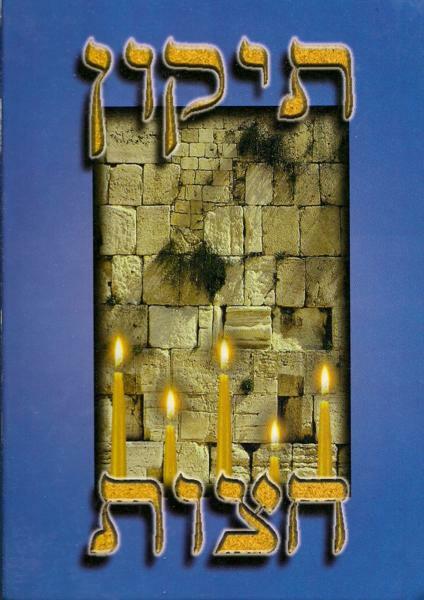 Publishing data: Meshech Hanachal Jerusalem 1990. 5"x7" 183pp. HB with nekudos.